The front door and a side window of the two-room jail faced west onto Michigan Ave., now an overhead garage door. The interior has a ceiling and wainscotting on the wall, items not normally installed in garages. 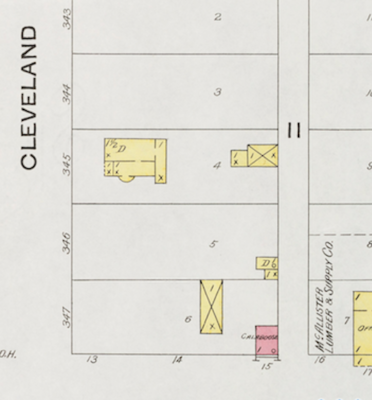 Historic maps dating between 1900 and 1937 show the same footprint for the alley structure at 500 E. Cleveland Street. The first map, made in 1900 by the Sanborn Fire Insurance Company, shows a 15-feet wide brick structure and has the label “calaboose,” meaning town jail. Subsequent written accounts, including town board minutes, state that the old jail was located on the alley of 500 E. Cleveland Street. 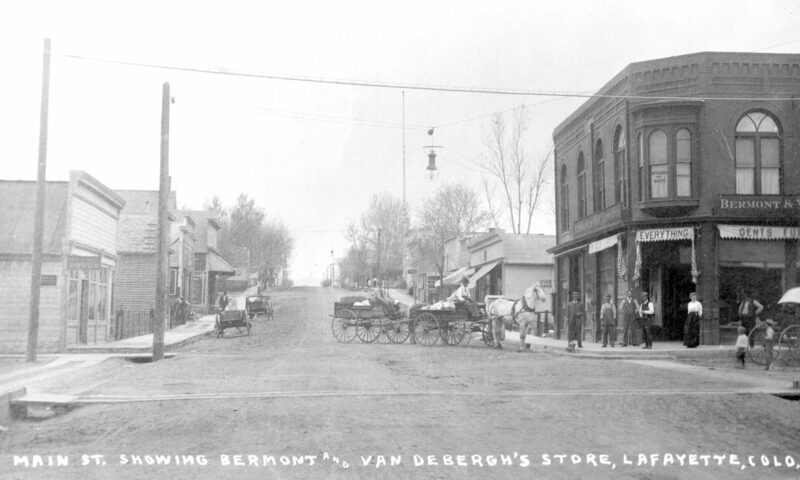 In 1906, John J. Thomas bought the property from the town of Lafayette and in 1908 built the house that occupies the rest of the lot. The brick calaboose, or jail, shown in the 1900 Sanborn Fire Insurance map. Mary Miller’s grandson, Frank Miller (1893-1973), has extensive narratives about the local bricks made at the Dutch Colony east of Lafayette prior to 1900. It was not a factory per se, but rather a small scale, craft operation that produced soft bricks using wood molds. Horses powering a “whim” pressed the clay into the molds. The soft bricks were fired in coal-fired kilns, but were not vitrified. Because of this, Frank Miller states that the inferior-quality bricks absorbed water and were therefore vulnerable to the freeze-thaw cycle. That meant that buildings constructed using the soft bricks needed a coating of stucco so that the bricks wouldn’t melt away in the weather. 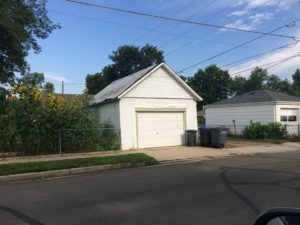 This stucco mitigation method is found on the Metcalf house, and appears to be the case at the former jail structure at 500 E. Cleveland. The few remaining structures using local brick include the Angevine house, the Metcalf house at 207 E. Simpson, and the old jail building at 500 E. Cleveland.